This guide is written for players intending to solo CMs, and this often implies some niche decisions for CM. Please do not take it as a “building the best DPS/Support/Hybrid cleric” guide. I am also a very unskilled player, so please do advise me on any inaccuracies! Hi, welcome to my guide on soloing cm with clerics! I’ve always been very interested in soloing CM5-7, but often find myself lacking in proper kiting/skill rotations, so I’ve been trying to find the most brainless builds to solo cm with since IMC made CM easier for rebuild. Important classes are those you should always consider when building a toon to solo CM. Mass heal is an amazing healing spell. However, in a solo CM context i find this much burst healing less useful than druid’s grass and PD’s healing factor. This is especially true at CM5+, where I often find myself conflicted over holding onto heal and not wanting to waste the cooldown or overkilling on healing immediately just in case i get CC chained. A cheeky thing to do is to use Sacrament to replace last rites from chaplain, freeing up points for deploy capella, since the 2 do not stack. However, last rites is slightly stronger, meaning this is not an easy choice. Turn undead is not the strongest attack spell, but the bonus instakilling mutants and demons can be marginally useful if you solo CM in a map with these mobs. Resurrection is useless in solo CM, since if you die the run is over. Pick priest if you have more than enough damage, but are unable to survive physical damage. Or if you’re getting annoyed at dying to reflect damage from bosses. Avoid this class if you lack any damage, and you are not an AA build. Carve Owl has honestly been underwhelming. It’s not affected by any multipliers, only by debuffs such as Oracle’s death sentence. It clears CM1-5 really slowly, and at higher CMs, keeping the owls alive become an issue as well. If you choose to use this though, stack the statues up and lure mobs to it so they get hit with as many overlapping aoes as possible. Statue of Goddess Laima is honestly an amazing supporting skill, giving 20% cooldown reduction. However, unlike pre-rebuild, diev is now 1/3 of your build, and giving a slot to diev just for this is rarely worth it. -The other useful goddess statues are all buffs, with Statue of Goddess Ausrine having a neat effect of increasing owl damage. However, keeping this statue up is rather difficult even with priest in your build at CM4-5, much less CM5+. Pick diev if you are looking for cool down reduction mostly. As a standalone damage class, it is rather underwhelming unless you have an overall high SPR stat. Even then, it pales in comparison to other dedicated dps classes. Diev shines the most in locations with clustered mobs. Overall though, a rather underwhelming class. Twist of Fate is rather useful at bosses, as it takes off a minimum of 20% hp with divine might on. Rather useless during the mobbing stage though. Foretell is interesting, in CM5+, as invulnerability can buy you time for your skill cooldowns, or your potion/heal: linger ticks. Exceptionally useful with DoT moves, as they continue damaging while you’re channeling. Counter Spell is surprisingly strong in a solo CM setting, as you tend to be more stationary which suits the magic circle buff style well. More useful in areas with more magic mobs, such as the memorials. Arcane Energy is a qol skill, you will likely not feel the SP recovery effects unless you are zealot. The 10% damage reduction from its attribute is minor, but a nice bonus. Prophecy is sometimes useful at CM5+ where elites appear carrying CC. Not amazing though, due to its low uptime. Pick oracle if you have sufficient healing, and have strong damage classes with minimal downtime on damaging skills. Oracle lacks any specific synergy, so it is often paired with strong stand-alone damage classes. Chortasmata is one of the best healing spells to have in a solo CM context, as it has rapid ticks, with a good overall amount. It also does not suffer from the “overkill” trait you see from priest’s mass heals, as the heals are well spaced out. However, Chortasmata also changes mobs into the plant type, which has very high crit def. Try not to go for crit reliant builds if you are planning to use grass. Carnivory is amazing in soloing CM, as you will be rather stationary, allowing you to maximise the use of the plants. Seed bomb is good because carnivory is good, and a fire-and-forget spell is always nice. Good bonus, nothing amazing. Thorn is very useful in CM5+, as the CC allows you to separate the mobs and not have them swarm you. Otherwise just a nice damage bonus. Sterea Trofh is a good spell that is held back by chrotasmata raising mobs’ crit def. Wouldn’t use it at all in solo CM setting, chrotasmata is too good to pass up in this context. Transform and Shape Shifting are weaker than lycantrophy. Don’t do it. Lycantrophy (full lycan) refers to the skill without the “Human Form” attribute. Amazing dps source, but stick to the first 2 skills for mobbing as they have the largest AOE attack ratio. Note that you cannot use burst heals during this period, and I often end up having to transform back prematurely to heal even with potion & elixir spam. Thus, I would either keep it to CM5, or pair it with a long duration heal-over-time such as PD’s healing factor or Paladin’s restoration (weak). Lycantrophy (demi lycan) is the skill with the “Human Form” attribute. Good buffs throughout, but nothing to build around. This is also what makes druid so versatile, as no build would mind having this form. Choose this if you are mainly using druid for its other spells. Pick druid (full lycan) if you are looking for a consistent source of damage with respectable uptime, and have enough heals over time as opposed to burst healing. Pick druid (demi-lycan) if you’re lacking some healing, and yet also missing some damage. A very versatile class in cm overall, fits well into most builds. Special synergies with builds that rely on DoT. Healing factor is amazing. Maxing it is often overkill though, so it’s more of a dump your spare points into this kinda skill. This skill can often keep you alive at higher CM stages by itself. Incineration and Black Death Stream are good damage spells; incineration especially. Their hitboxes can get a little wonky though, but these skills are definitely important in CM as bonus damage is amazing, especially fire-and-forget skills like these. Pandemic is a skill that remedies the wonky hitboxes of the 2 skills above.Very nice bonus, but nothing too crucial. CM locations with slightly looser packs of mobs would value this more, since you won’t be able to land incineration or BDS easily. Methadone and Beak Mask are both great utility skills in cm, if a bit niche. Methadone is especially useful in areas like baryn87 with mobs that knock back, and against bosses. If you have gazing golem cards, you can use this to buy time between procs. Beak Mask is mostly for CM6-7, as elites often carry CC. Fumigate and Modafinil are mainly for party play. Modafinil does let you kite easier though, if you require that. Pick PD if you find yourself dying so fast you can’t even get off any heals, or if, like me, you just don’t have enough skill to watch your HP bar and the mobs at the same time. PD has the single best healing spell for soloing CM, and a little bonus damage to boot. Rest of the skills aren’t particularly useful in soloing CMs. "Inquisitor: Burn" attribute is also amazing in tight spaces, as the flames can almost always proc on the maximum 5 mobs. Pick inquisitor if you have a single circle left and somehow have no damaging skills. Inq is likely the strongest stand-alone damage class. Try to let the wheel kill mobs by itself to lower ripper + wheel CD, and always try to use wheel and ripper together. Inq flames shine the most in tight spaces. Do note that going trying to emulate the old aa inq is usually sub-optimal as spreading your AA with the wheel does not lower the the cd of ripper + wheel combo. Flames also don’t seem to proc AA lines right now. It is also possible to use PD’s incinerate on the wheel to spread wheel attacks, which can proc “Torture Expert”’. Last rites is a good buff, but it is often overshadowed by aspergillum. Usually you’d want points in both though. Binato is exceptionally important in CMs, as you will always have something to hit. Attack speed is a godsend for AA builds in more stationary content like CM. Deploy capella is mathematically amazing, due to doubling aspergillum and skills such as exo’s rubric. However, its animation cannot be canceled. The 2 seconds you spend setting it up can be deadly in the higher stages though. Exceptional for chap/exo builds, you’d be hard-pressed to find a good time to use it otherwise. Paraclitus Time is tempting for those pesky bosses and even mobs at baryn87 for example. Chaplain is starved for points though, not worth it imo. Visible talent is amazing in CM. Spam it early on in a stage, try to time the massive hit for the boss later on. Often oneshots bosses since rebuild greatly lowered their HP. Pick chaplain if you are looking to emulate the old AA inq playstyle, or if you want to boost the damage of Exo’s rubric. I do find that an AA build is much weaker than before, but with enough Centaurus cards it might match up to other classes. 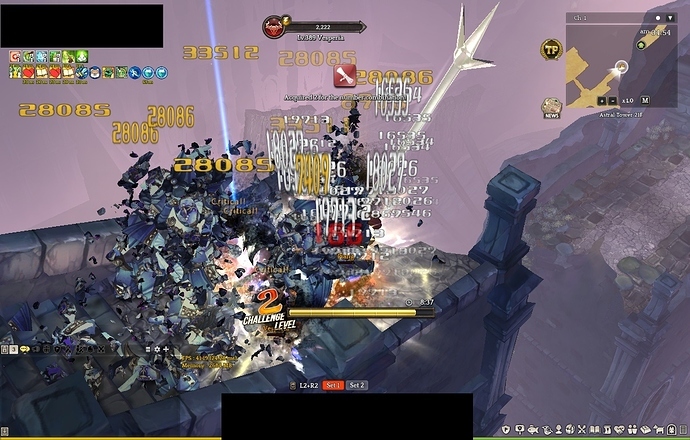 Can also 1-hit bosses if you time visible talent properly. Definitely worth a try. Skill points are very tight in this class tho, either give up deploy capella for last rites if you find it clunky, or ditch last rites for a higher damage ceiling. Restoration is amazing at the lower CM stages, but rapidly falls off in usefulness at higher CM stages as you can easily get swarmed and killed in the 3s it takes for it to tick. Conviction is an amazing skill, the +damage debuff is worth it by itself, and it boasts decent damage by itself to boot. Even better if your build relies on elemental damage. -Barrier is very useful in buying time if your build relies on skill rotations with significant downtime. Otherwise it’s just there to lower your durability loss. Demolition is a bland damage skill. Useful if you are lacking skills in your rotation, but otherwise meh. Pick paladin if you’re having a small lack of damage, a small lack of healing, finding yourself waiting around for cds and dying to mobs, or mostly importantly have your gear red all the time. Paladin does a lot of things, but doesn’t do many of them well enough to form a niche. However, it is definitely possible to build around Paladin’s sanctuary with 2 classes that deal high DoTs, especially if you have high def, so there’s that. Build around it, or splash it onto a build if you can already carry yourself with the other 2 classes. Prana is the main reason you pick Sadhu. It adds additional damage to every hit of damage, which works very well with DoT spells. In fact so much of Sadhu’s power lies in this skill that I would only pair Sadhu with DoT classes. Out of Body is used to activate some of your other skills, not much use by itself. Possession is your main damage skill in Sadhu. Try to time its cooldown so that you get 2 uses out of it during Prana’s duration. Prakriti and Astral Body Explosion are your secondary damage sources. Without Prana, they do not do much damage at all. Thus, while you can max either, I suggest maxing Prakriti as it gives more ticks of damage overall, which maximises Prana. Using Astral Body Explosion to knock back mobs and isolate the elites is very useful at CM5+, as it ensures spells like possession always hit the elites and kill them ASAP. Vashita Siddhi is an underwhelming spell. Use it as a filler in between rotations, but it might be more worth while to jump around waiting for your cooldowns at higher CMs. Pick Sadhu if you’re planning to build around it with classes that have many, many hits. The main draw of Sadhu is Prana, and if you do not maximise it, there is honestly no reason to pick Sadhu, since it is underwhelming as a stand-alone damage class. Immolation with attribute "Fire Property Attack** as well as Beady Eyed are both great buffs. Nothing special, feel free to spam them as needed to refresh these buffs. Immolation and Emphatic Thrust are decent damage skills, but aren’t amazing. Emphatic Thrust can also be spammed off cooldown, and is mostly a filler skill, while it is better to treat Immolation as a buff skill (see above). Blind Faith is strong at bosses, especially the crit damage debuff. However, with the high turnover rate of mobs at the mobbing stage, the crit debuff is often underutilised. The damage from this isn’t all too amazing when spread out among all the mobs either. Fanatic Illusion is your main damaging skill in Zealot. Yet another straightforward skill. Use it and walk around. Fanacticism is amazing in lower stages, since it lets you blast pass the weaker mobs easily. However, it is exceptionally dangerous at higher stages as you’ll be unable to heal. Personally have issues starting from stage 4. Invulnerable is very weak, can consider putting 1 point into it and timing it for bosses’ knockdown, but otherwise it has no value in soloing CM. Pick zealot if you are looking for a very strong secondary damage source, and are able to survive without heals for 15 seconds straight. As the primary damage source, it has too long of a downtime to be worth it imo. I would avoid picking this for CM5+ though, it is simply too dangerous. Ein Sof is surprisingly strong, but mostly due to its double healing attribute “Stacked Healing”. This ensures that you can stay alive rather easily. Tree of Sephiroth is a strange spell in CM. It is A LOT of healing, but at the same time it has very low uptime. This means that you’re often overhealed while it’s active, and then rapidly worn down while it’s down, leaving you wishing you had a heal with shorter cooldown. Overall great healing, but suffers from an even worse over-healing issue than priest’s mass heal. Merkabah, Nachash, Gevura, and the number calculating skills are all underwhelming damage/damage amplifiers. Feel free to use them as fillers, but they will be worse than PD’s damaging skills or oracle’s damage boost 100% of the time. Always use the “Reduced Movement Speed” attribute for Merkabah in CM. Clone and Revenged Sevenfold has no, and almost no value respectively in soloing CM. Pick Kabbalist if you are looking for a very strong healer. It does however, lack much damage or damage amplifying abilities, making it almost always worse than having Priest. As the sole healer in a build, it is also outclassed by Priest, as ToS has a worse over-healing issue, making you spend quite some time on using Heal, lowering your overall damage uptime. I’d avoid this class for now, except for in a Priest/Kabbalist/X build, but this healing core lacks a lot of damage. Aukuras is a pretty strong spell if built around with many multihit moves. Zalciai is actually decent in soloing CMs due to the stationary nature of the content, as with most magic circle skills. Nothing too amazing though. Melstis is underwhelming because of its long cooldown. Great effect though, especially if paired with low uptime buffs from e.g. Zealot, but the long cooldown makes this skill almost pointless. Divine Stigma is an amazing damage amplifier, it’s just really overshadowed by oracle’s Death Sentence while soloing CMs, as oracle’s can be reset constantly. A good bonus, but don’t choose krivis because of this. Zaibas is a straightforward damaging spell. Works amazingly if you have classes that can abuse the multiple hits it provides. By itself though, it is good but nothing groundbreaking. Daino is pointless in CMs. Even if you are somehow missing a lot, it has ridiculously poor uptime. Pick krivis if you are planning to make use of zaibas’ high hit count. Alternatively, if you are seeking a jack-of-all trades class to gel your final build together. However, it is often overshadowed by other classes in specific roles (e.g. oracle as a damage amplifier, any dedicated dps class for dps). Rubric is pretty much the only reason you would pick exorcist, but boy is this spell strong. It is definitely one of the best dps skills out there, but the high down time really holds it back. The low target count also hurts this skill if you plan on going to CM5+. Knockbacks are also an issue, especially at maps such as baryn87 or baltinel memorial. Gregorate and Aqua Benedicta are ok-ish damaging spells. Nothing amazing though. Katadizako is underwhelming for its channel time… If you pair chaplain with Exorcist, it is often overshadowed by your boosted auto attacks. If you can hit 10-15 targets with this skill though, it might still be worth using it, but overall underwhelming. Engkrateia is a good buff with too short an up time to be used in CM. One-time nukes aren’t prevalent in CMs, even at the bosses, so it’s pretty useless here. The other spells have no value in this setting. Pick Exorcist if you want to use rubric. Honestly, that’s the only reason. It is decent as the primary dps source, and almost amazing as a secondary damage source. Don’t ever use Exorcist as your ONLY damage source though. Iron Skin is a very poor buff. It has a good effect, but far too low a number for it to actually be useful. If you have points to spare, feel free to dump it here though, but it won’t make a difference in most of your CM buffs. Energy Blast is a good damaging spell with annoying knock back, which often slows down runs The channeling time is also not very worth it, and it lengthens your rotation. I wouldn’t use this skill unless Monk was my primary dps, which raises some questions. Golden Bell Shield is a good spell in a vacuum, but once again, you’d rather be using skills from other classes so resetting monk skills are counter-productive. Double Punch is actually a pretty good buff, but using monk over chaplain for AA is undesirable as you lose out on the extra lines. Using chaplain-monk would be alright, but AA is pretty weak in cleric right now, so combining 2 classes for AA is often a waste of slots. Attack speed also has diminishing returns, so using Binatio and Double Punch together will often be worse than expected. God Finger flick and One inch punch are weak in CMs, God Finger Flick has a nice debuff for bossing though. Pick monk if you are planning to commit fully to AA with a monk-chaplain build. Skill-casting monks would be good as a primary/solo damage option, as it has very low downtime, but its numbers are far too low atm for this to be viable imo. As a secondary damage option, chaplain is better for AA, while skill-casting monks spend too much time using their skills to complement most dps classes. Overall, a weak in soloing CMs. Indulgentia is honestly a good healing spell, but with a disappointing uptime. Think of it as a weaker druid Chrotasmata while soloing CMs. Overall a great spell, but using this as your only heal would likely be insufficient. Increase Magic Defense is an amazing buff, especially in places with a high magic mob density. Nothing else to say here. Dekatos is a meh dps spell, use it mostly as filler. Discerning evil is rather pointless if you’re soloing CMs, as with most single target spells. The nail in the coffin is that it’s not even too useful on bosses since rebuild made them much easier. The other spells have no value while soloing CMs. Pick pardoner if you’re looking for a secondary healer, and/or need some magic def due to your chosen map. Other than this, a pardoner doesn’t fill many other roles tbh. Gohei and Hamaya are pretty poor dps spells in CM, try not to build around them. Omikuji actually has some decent buffs in there, but it has low up time and is random, thus making it a pretty poor class. Kagura is interesting if combined with magic DoTs, such as from PD. However, a 50% boost is far too low to make it worth it. It also has a deceptively high uptime too, as you will almost never channel the full 30s when solo, since no DoT spells last that long, and even if they did, you wouldn’t be taking 30s to kill 1 set of mobs. Overall, underwhelming. Clap and Sweeping are almost exclusively used to boost Dievdirby’s owls alive. However, you’d find that owls are hard to keep alive for the full duration at CM5+, thus making clap rather useless there. The power boost is also only slightly stronger than oracle’s death sentence at best, making this an unclear niche. Pick miko only to go with dievdirbys, otherwise it is horribly outclassed by most other classes. Even then, the miko-dievdirbys combo is rather weak due to owl statues being weak, but that isn’t really due to any fault in miko’s skillset. As most people know, the stages beyond CM5 are a completely different game compared to the previous 5 stages. Thus, the first consideration when building to solo CM is where you want to stop. I highly recommend this build format, as it results in a very low-risk experience, and still relatively fast when trying to solo CM5. The healing class is self explanatory, as is the damage class. Choosing between damage/support in the last slot depends largely on your gear and your choice of damage class. For well-geared players, and those who choose good stand-alone dps classes such as inquisitor/Druid (full-lycan), it is often optimal to stick with support classes in the last slot. This build format favours those with relatively better armor, and are able to survive CM5 easily with minimal potions. Very risky for small brain players like me, as a simple mess up or knock-down chain could result in death and a failed CM. However, in theory, this build format should set up the fastest clear times for solo CM5. Why not 3 Damage classes? Trying to brute force your way through CM5 is possible, and is the basis of many CM solos with non-cleric classes. Be prepared to spend many potions and even elixirs though. Overall not ridiculous, but not for the unskilled/ungeared. The worst part imo is you might not even end up being significantly faster then the previous 2 build formats, since having utility and survivability means that you can spend less time kiting, and end up having more damage uptime, which is honestly the greatest strength of using cleric classes in CM solos. If you’re planning to solo past CM5, you should start to face huge survivability issues unless you have really good armor, or are exceptionally gifted at kiting mobs. Thus, i suggest a heavy focus on healing/support classes, and relying on strong stand-alone dps classes. Synergy is of utmost importance once you get past CM5, and versatile classes which allow you to compress roles, such as druid/PD, are exceptionally good here. I swear by this build format for unskilled players like me. The appearance of elite mobs often causes some panic, but 2 healing classes should easily let you survive it without much issues. Good healing cores often include PD imo, due to the sheer strength of healing factor. DPS classes to consider include inquisitor, Druid (full-lycan). Special mention goes to sadhu just because it synergises insanely well with a PD-X healing core. This choice is more important than ever since every cleric can now choose 2H maces. For pure damage, 2H maces win out in both patk and matk vs their 1H counterparts. However, I feel that the block chance + def given by a shield greatly outweighs the extra damage for CM5+. The choice between rod and maces appears simple at first – pure magic builds go for rods, while hybrid/physical classes would go for the mace. However, I find that the asio/masinios maces have effects that are uniquely suited for CM. Special mention to chaplain AA builds, who may also opt for wastrel dagger over a shield, as well as dievdirbys builds, which may find asio rod to be best in slot. Go for plate/cloth sets according to the location you choose to solo CM in for the least risk. Leather sets are also viable for faster clears, but drop in viability when using druid’s chrotasmata(grass). For ease of soloing cm, go for maps with minimal knockbacks, and an abundance of small monsters. My personal recommendation goes to baltinel memorial. When aiming for speed, go for tight spaces. When aiming for survivability, aim for larger, more open areas. Some dps classes such as inquisitor and dievderbys also rely a lot more on tight spaces, while some dps classes such as sadhu or zealot are a lot more mobile, do consider this as well. This section documents how I arrived at a build that suits my playstle, which is currently Druid/PD/Sadhu. Hopefully this documentation of my thought process in testing my builds makes it easier for those struggling with too many choices. I started with this the moment rebuild hit because I was emulating my pre-rebuild solo cm build, chap-druid3-inq2. The idea is simple, and follows the 1 healing, 2 damage build format. Cleared CM5 at spell tome easily, in about 12min. Gear were red at the end though, and instadied at CM6. At this point, I was still sticking to the old chap/inq template. I figured I could at least make my clears more efficient by ditching last rites for deploy capella, and using sacrament for the extra line instead. A stronger blessing due to it stacking with pardoner’s blessing also made sense to me. Same fate though, easy CM5, dead at CM6. CM5 was also slower, being at around 15min. Verdict: Deploy Capella clunky to use in AA build. Cheeky substitution of sacrament for last rites not worth it. Durability of equipment still an issue. Still sticking with chap/inq. Paladin seemed strange at first, but in my head barrier sounded good to prevent excessive armor durability loss. Turns out restoration isnt that amazing, started chugging potions at CM4. Still cleared CM5 though, took about 15 minutes too. Also realised that an AA inq build sacrifices some cd of ripper-wheel combo to spread AAs. Not ideal. Broke CM6 for the first time with this build, using fire-wheel combo and sanctuary. Timed out at CM7 though, with 50% hp left on the boss. Felt that inquisitor had quite a bit of downtime at CM7, due to a lack of ample burst to kill mobs and lower CD of my skills. Verdict: Healing is perfect, needs more damage. Choice was between Sadhu and Paladin, with Paladin being the full sanctuary build. My armors weren’t transcended yet, and I had low def, so i went with sadhu instead. Finally cleared CM7 at baltinel, 30 seconds remaining. Verdict: Current build for soloing cm, more than sufficient healing, with good dps arising from synergy between classes. A good example of the 2 healing, 1 damage class build format in my opinion. Your Druid/PD/Sadhu is freaking amazing. Any tips for the cards beside 3x Velnia Monkey? Red and blue choices are self explanatory. For green cards, I don’t like Pyroego because INT scaling is pretty bad. 30 INT from 3 Pyroego cards only give an insignificant 120 or so matk, while the CON cards can increase your margin for error. For purple cards, Gazing Golem is amazing for pesky bosses and some maps with knockbacks. Rikaus is just to ease sp potion usage, there aren’t many other choices here. +Elemental damage cards such as Yekub might sound good on paper, but are often underwhelming when used. Once you’ve gotten to Velcoffer Mace/Two-handed mace, the Asio mace effect isn’t even required previous to CM 6+. In my opinion, if you’ve got a decent armor transcendence stage, you should go for two-handed mace to reach 10-14k matk/patk so you can clear stage 1-5 fast and efficient. With my Two-handed Velcoffer Mace, my Breaking Wheel can clear CM 3-5 on its own, just needs some occasional Death Sentence to get its CD reduced to 0 within the 15 seconds duration. If you’ve got decent attack values and are fighting against dark/devil type enemies, Katadikazo can clear mobs up till CM 4 with 1-2 casts. On the Engkrateia issue, it’s really good to have as it reduces damage taken and grants immunity to knockdown & knockback, which is very annoying to face when fighting against CM 4+ bosses. It also adds extra survival for e.g. casting the Breaking Wheel+Breast Ripper combo at CM stage 6+. The best thing about the skill is the extra reduction against devil type monsters, which is added on top of the base damage reduction, meaning you can reduce the damage you take by over 95% for 6 seconds. When I’m solo-clearing Astral Tower F21 CM 6, the damage I take goes down from over 2k per hit to 30-90 damage. That’s more than enough reason not to belittle the skill if you ask me. Btw, maybe you should mention Smite. A lot of maps have devil or mutant type monsters (e.g. 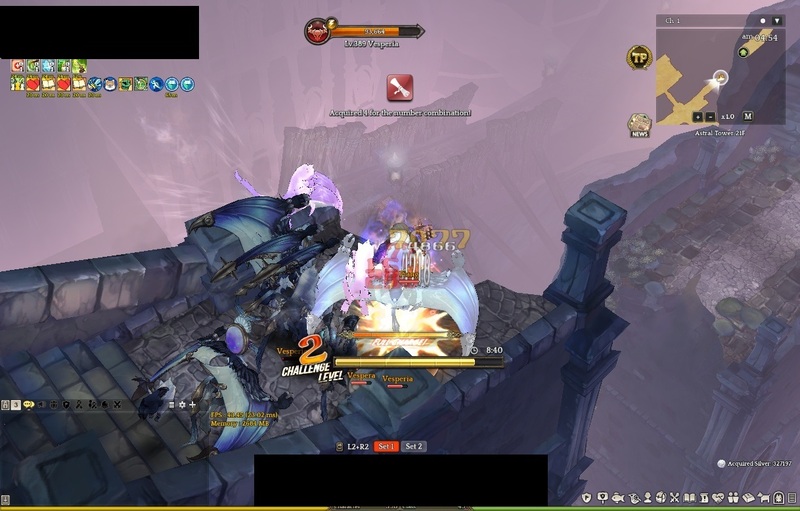 Frienel, Barynwell87,Astral Tower) who take 250% damage from Smite, making Smite an excellent choice to clear the lower levels of CM(1-3) when mob density is still low. I feel you about gear, I don’t think you NEED the best-in-slot (BiS) gear to solo CMs though, there are many videos of people doing it with average gears. Frieno set seems to be pretty common in those videos though, that alone might sometimes be more important than a good weapon it seems, but I haven’t had the budget to test it. And yea, velcoffer gear is BiS always, due to the it having the best raw stats + the ichoring system allowing it to take on any effect. Good point, Thanks for the reminder! The problem I have with Katadikazo is that it’s underwhelming DPS for the channel time. Plus its AoE is not exceptional either, meaning that with some Centaurus cards you might be better off using your Chaplain auto attacks (a common pairing for Exo). Not a bad spell to be fair, just not good either imo. Engkrateia is indeed a decent buff, and I think I did not do it justice in my guide, thanks for pointing that out. However, the extremely low up-time still keeps it from being a top-tier buff spell imo. Oh, I focused so much on choosing classes that I did not elaborate on the base class at all. My bad on that, will do so with my next few updates. Thanks for all the feedback! The problem I have with Katadikazo is that it’s underwhelming DPS for the channel time. I actually don’t see the problem here. This is with 10900 matk, level 6 Katadikazo (level 80 enhancement attribute) at CM2. I’m using 3 Moa cards btw to boost the damage. It just destroys the whole mob that groups around you. You can even one-shot a whole mob up to CM 4 with 14k matk + Prophecy+ Death Sentence. Otherwise I just cast Katadikazo twice. Since it’s got 2 OH, it’s not really a problem, and since it hits 15 targets at once it’s really good to fill in for Rubric while it is on CD. The only problem I have with the skill is that it is only effective against Dark property and devil type enemies, so it depends on the map to show its full potential (best would be against dark property since then the damage is boosted by another 50%). It’s also nice to have since it can deal damage to far-away mobs, so while hit&run on CM 6/CM7 is on, you can use Death Sentence to cut down the movement speed and then run and cast Katadikazo from far away. I gotta correct that statement. It’s actually 9-23 damage I take at CM 6 with Engkrateia lvl 14 active(without shield,17k pdef). Definitely the most OP buff in the game if used correctly. It even cuts down the damage of Demon Lord Zauras attacks from 20-40k damage at his second stage to less than 100 damage. I think this is the key reason why we rate katadizako so differently. Correct me if I’m wrong, but katadizako straight up doubles (?) in damage against demon/dark enemies. This bonus also seems multiplicative with other bonuses, making it feel very strong when against those specific mobs. In your example, you have an extra 2.0 x ~1.07 (lv 6 over lv 5) * 1.40 (i’m not sure how the attribute works, culd be lower) * 1.30 = ~3.89x the damage of your base katadizako. This is really strong in maps where every mob is demon and/or dark (e.g. Astral 21F), but outside of those, I still wouldn’t rate it as a very good dps spell. Gotta admit though, the way i phrased my comments made it seem a lot worse than this (it looks worse than gregorate for one, definitely did not want it to come across that way), will edit it accordingly. Do correct me if my understanding of any mechanic is off though! As for Engkrateia, I cannot comment on its world bossing utility as I’m not experienced there. It does seem like a good spell if timed against nukes, which might be common in wb? In CM though, where it’s more of a constant stream of damage its utility is greatly diminished. The only uses I see for it are if you are able to isolate and kill an elite mob in 3  6 seconds (not an easy feat), and as a 1 pointer for kb immunity against bosses such as stone froster. I have to stress that my issue is not with the strength of the buff, but its poor uptime. Thanks for the discussion so far, definitely prompted me to go consider and test exo more rigorously. Yay and I thought I was alone with knowing this. Where did you cut the points for it? no, I have Koinonia maxed. I actually put only 1 point in Aqua Benedicta because of its abysmal scaling and close to no use in the actual game. I also left out Gregorate because I don’t really need another damage skill to use up space on my skill bar. Yeah that’s why I chose a map that provides me with the best conditions to use my skills to their fullest potential. For Exorcist, there’s no better map for CM than one that has only devil-types since Rubric, Katadikazo and Engkrateia all benefit from being used against devil-types. I usually do CM for the silver + 6 cubes (Raid Portal Stone recipes) + random stat equip drops. That’s why I go out there and choose Astral Tower F21 to have the largest advantage to get as far as I can. i dont have alot of experience with ToS, so please go easy on me. Im playing a Druid/Inquis right now, and i quite like it. Now my question is, for stuff like CM5, will Druid be enought healing so i can go with another Damage class (maybe Zealot), or would i need another class with healing abilitys to comfortably do those things? You had a similar setup at the beginning too. For leveling the healing was more than enought, but i dont have experience from late game. Hello! Sorry for the wall of text after this, but I’m assuming you are very new to ToS from your post. TL;DR: healing first, swap to damage when geared. Firstly I would like to point out that soloing CMs is not the typical late game. Even at end game, most people still do CMs in party because it is just that much easier. In a party setting, often times there’d be a dedicated healer, thus you can either go for another healing class and join a party as a healer, or get zealot and join it when people shout for dps. But, if you are planning to solo CM5, I’d say that you should start off with another healing class. As a new player, upgrading your weapon has the highest priority, and thus you’d often be stuck with weaker armors for a longer time, making it difficult to solo CM5 with a 2 Damage class setup. Once you have a decent amount of def (I have around 16k pdef and 11k mdef after pardoner buffs, you can probably do with bout 10k each), then I’d say go for a damage class just to clear CM5 more efficiently. Hope this helps! Lycantrophy: Haven’t hit lv 300 yet (I may be immortal, but that comes at a cost of sloooooooooooow levelling) so could you tell me what is the difference between full and demi form? Amazing dps source, but stick to the first 2 skills for mobbing as they have the largest AOE attack ratio. Which ones do you mean? Scratch, Earth Wave, Howl or Big Bang Howl? Modafinil: This is just a statement, really, but once you start popping speed pills, you can never go back Coupled with Fade this makes for a great map exploration tool, easily tops pre-re:build Cataphract in terms of movespeed. VS 10, ABE 4 OR VS 1, ABE 13? have done cm5 solo with druid - inq - zeal, healing is enough for solo but ymmv. 1)How to deal with single targets? You’re right in just letting them free imo, I sometimes pop fade too if i need the HF healing desperately. The mobs should respawn pretty soon if there’s only 1 mob left, don’t waste CDs on it! AA at most imo. Lycantrophy : Haven’t hit lv 300 yet (I may be immortal, but that comes at a cost of sloooooooooooow levelling) so could you tell me what is the difference between full and demi form? I find levelling with CM solo builds fast cos you can just spam CM resets without shouting for parties, q convenient tbh hahaha. Full lycan is one of the strongest dps I’ve experienced so far – but it drains SP continuously + you are unable to cast healing spells while in full lycan. I personally use it to clear CM1-5 faster. Stick to scratch and occasionally earth wave. Big Bang howl at bosses for the CC, but otherwise Scratch usually is the most useful skill. Demi lycan is just another 100% uptime buff, giving you additional damage and some healing. You are free to use other spells, and it also has no SP drain. I use it for CM6-7 as not being able to cast healing spells is almost suicidal at those stages. Modafinil : This is just a statement, really, but once you start popping speed pills, you can never go back Coupled with Fade this makes for a great map exploration tool, easily tops pre-re:build Cataphract in terms of movespeed. I like ABE more, VS has a long cooldown and doesnt actually do that much damage by itself. Good thing I haven’t spent these points yet, but still, PD wise, these 5 points that’d go into Meth would be better to put into Pandemic or Factor? Hey sorry again for late replies, I personally put 3 points into pandemic and dump the rest into HF. I find that pandemic rarely hits past about 10 mobs so 1-4 points is good enough imo. So I’m planning to make that Druid/Sadahu/PD build, but I also want to be able to exp normally via quests and unlock 100% maps and I’m not sure how to go about skills, is this ok?. Also, I would like to go PD 1st for movement speed, then Druid and Sadahu last, will I be able to play comfortably?